The largest regional, monthly magazine covering 50,000 homes with free, direct-mail delivery. 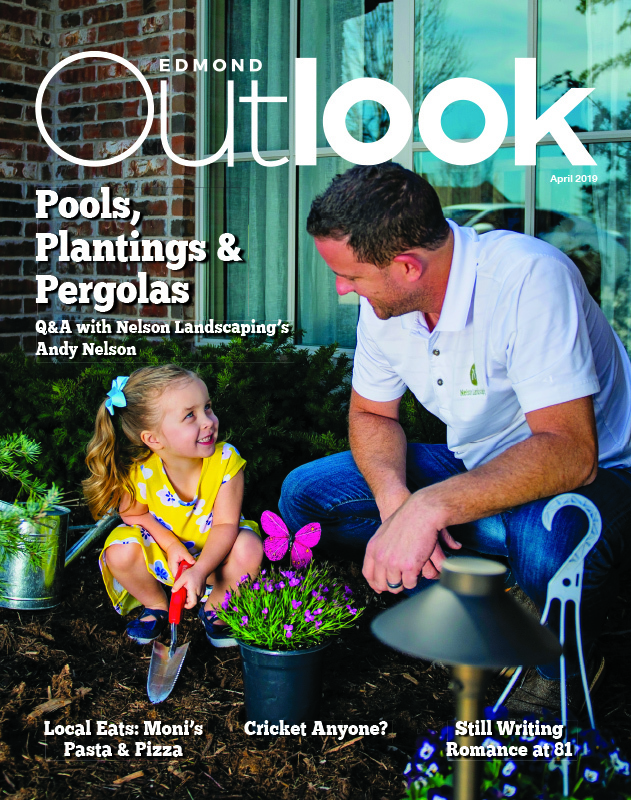 The Outlook is a monthly, full color, glossy magazine mailed free of charge to 50,000 homes in Edmond and North Oklahoma City. Since 2005, we've published more than 1,200 stories about local people, places and events—stories of heroism, compassion, generosity and just plain quirkiness. Monthly departments include Arts, Sports, Food, Business and our beloved columnist Louise Tucker Jones. The magazine is designed and managed entirely in-house at Back40 Design. Arts - Brought to life in each month’s featured Arts story, see Edmond’s fresh, funky and refined tastes breed an eclectic culture of local talent. Sports - Action-packed accounts of persistence, discipline and victory chronicle the athletic prowess and team spirit of noted individuals and local sports organizations. Louise - Louise Tucker Jones, inspirational speaker, award-winning author and co-author of four books, captivates readers with slice-of-life tales of wit and wisdom. Business - In this complimentary section each month, Edmond Outlook is proud to showcase two to three businesses professionally written and photographed stories. Before & After - Everyone loves a great success story, be it a remarkable home renovation, brilliant business feat or personal achievement, as chronicled in this high-profile, full page advertorial. My Outlook - Meet the colorful personalities in a riveting Q & A narrative at the close of each magazine issue – a signature Outlook tribute to the remarkable people who motivate us all to dream and excel beyond conventional limits. RexFest will feature an interactive art exhibit called a luminarium created by Architects of Air (AoA). From April 25-28, visitors can walk through the inflatable sculpture, which disperses light and color while creating a sense of wonder. The maze of winding paths and large domes will be set up at the corner of Sheridan and Walker avenues, adjacent to John W. Rex Charter Elementary School. ATTENTION: Sunday hours are different, 8 a.m. to 5 p.m.